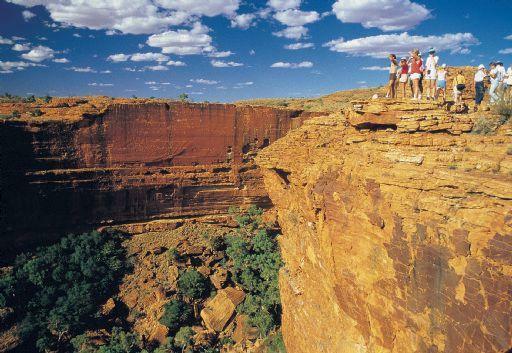 للمسافرين الذين يرغبون أن يعيشو كل ما تقدمه كينجس كانيون, Kings Canyon Resort هو الخيار الأمثل. يمكن من هنا للضيوف الاستمتاع بسهولة الوصول إلى كل ما تقدمه هذه المدينة النابضة بالحياة. يوفر الفندق بفضل موقعة الجيد وصولاً سهلاً إلى أهم معالم المدينة.
. إن الخدمات الممتازة وحسن الضيافة العالي في Kings Canyon Resort تجعل إقامتك تجربة لا تنسى. لضمان راحة ضيوفه، يقدم الفندق الخدمات التالية: مكتب الاستقبال على مدار الساعة, مرافق مخصصة لذوي الاحتياجات الخاصة, تخزين الأمتعة, واي فاي في المناطق العامة, مرافق للشواء . لقد جهزت هذه الإقامة الفندقية بعناية فائقة لتوفر مستوى عالي من الراحة. في بعض الغرف يجد النزيل بياضات, حوض الاسترخاء, غرف لغير المدخنين, مكيف هواء, مكتب. يمكنك طلب اللائحة الكاملة للخدمات في الفندق ومن بينها حمام سباحة خارجي, ملعب تنس. 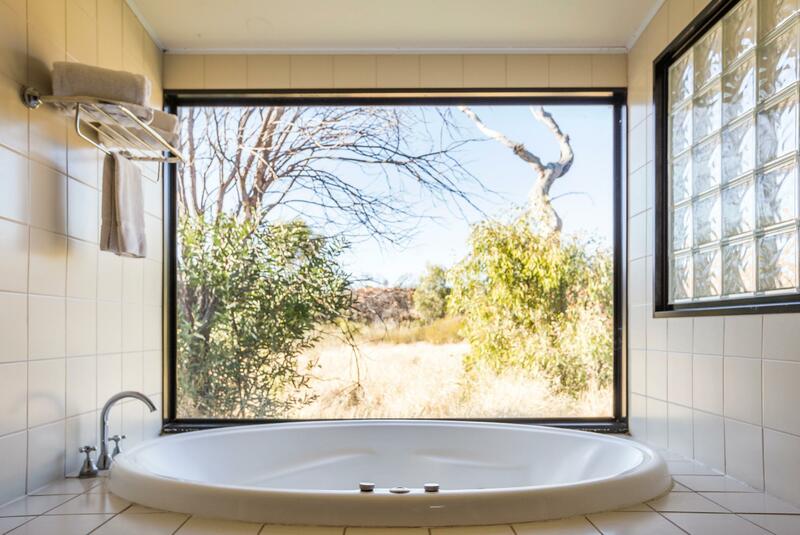 إن Kings Canyon Resort هو خيار ذكي بالنسبة للمسافرين إلى كينجس كانيون، بما يوفره من إقامة هادئة ومرحة. Got a upgrade. We stayed 2 nights. We did the Rim Walk early in the morning. Ready at 9 am. The bistro and bar were ok. But there was nothing to do with the high temperatures. So 1 night was more than enough. Stayed in campground cabin. 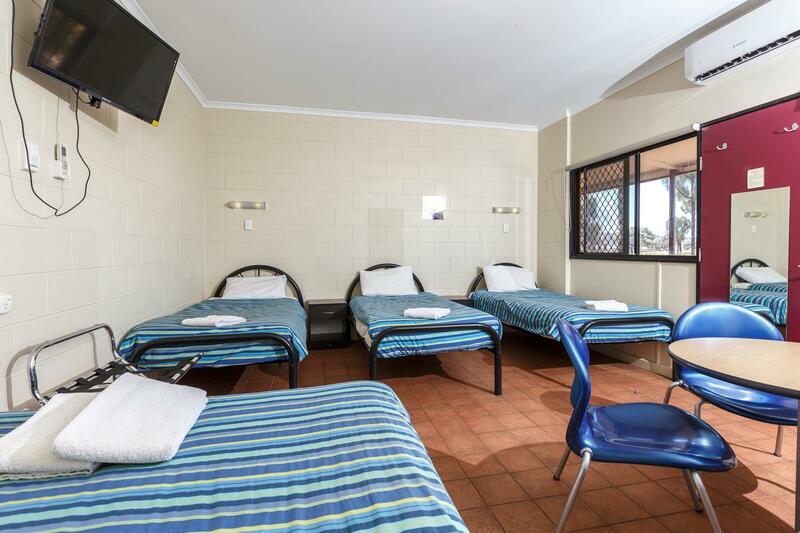 Had air con, linen, towels and 4 beds and cant complain about room at all. Great big pool. Canyon rim walk was amazing and definetly worth it. We started at 5.30am to beat the heat and it took us 2.5hrs and we loved it. I’m glad they have refrigerated air con for the rooms now. In earlier reviews I read online they said only had evap. The air con is good now and definitely needed. It is very remote so you have understand the facilities available., so it is fantastic really to be able to visit such a unique and beautiful place. Our stay at Kings Canyon was very enjoyable. The staff at reception were great with the knowledge of the area. The sunset on the rocks was amazing. A great buffet breakfast in the morning to keep you going. It locates in remote area, which is not far away from Kings Canyon, it values for money although the room itself seems small to us. the facility of park is ok but the kitchen is too small. 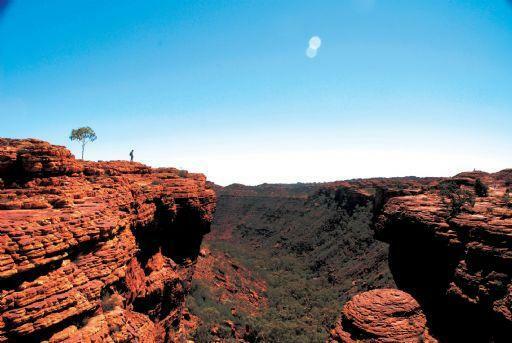 the sunset viewing area is very close to the park, if you visit Kings canyon it is a good place to stay after all. Rooms were well equipped and well positioned. Staff were great but clearly very understaffed. The only negative was the rubbish around the grounds. The rubbish from campers and other tourists is having a significant impact on the surrounding wildlife. We found animal droppings full of plastic. The native animals are eating the trash from careless tourists. Kings Canyon Resort is a nice spot. Although campground facilities in need of upgrade,the resort itself is nice and peaceful,rooms clean, spacious,with bush outlook from balcony. Staff are very pleasant and most helpful. Would recommend this place. 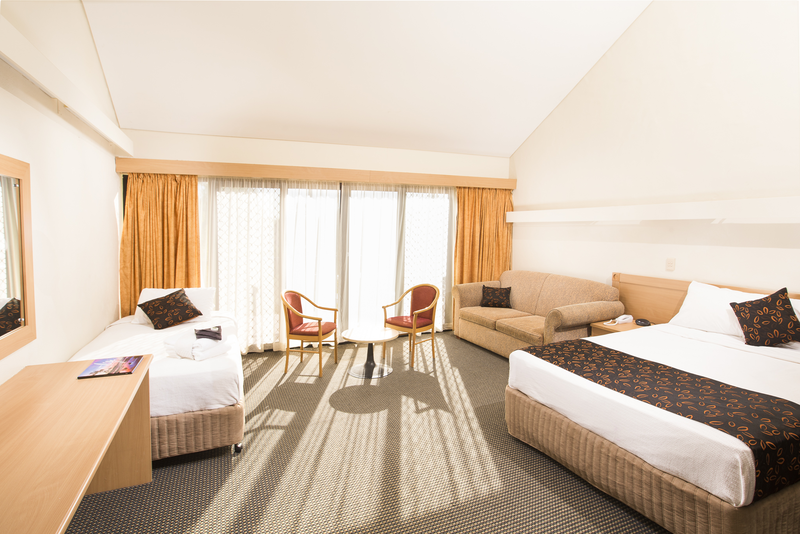 We stayed just one night in Kings Canyon Resort. 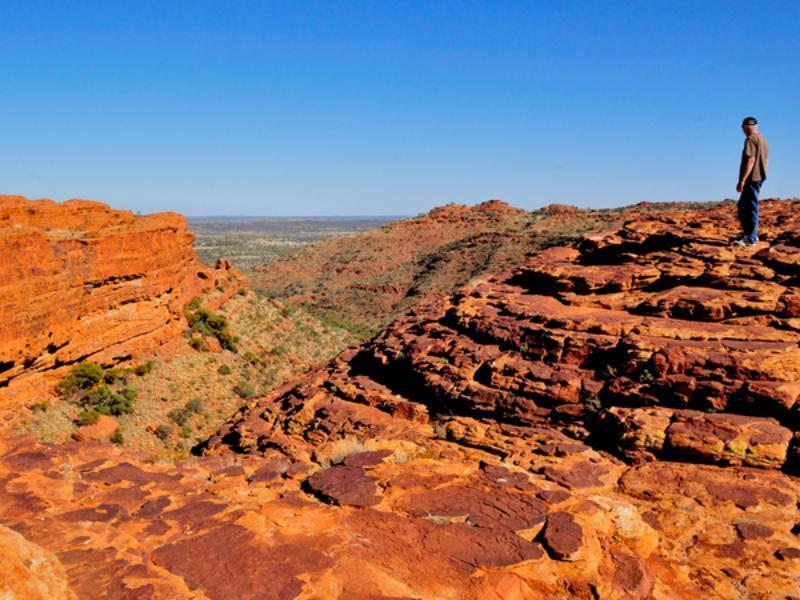 It is conveniently located for someone who would like to visit the King's Canyon. Our stay was good, the room was clean. The sensation of being in the middle of nowhere was great. The nature around is simply astonishing. The outback BBQ is good but the pizza is a bit small for money paid. The petrol is a bit expensive but it is understandable as the petrol needed a long distance travel to go there. Overall, the stay was good. We stayed at the Lodge. It needs some TLC - over half washing machines were broken, room air conditioner worked poorly and was so noisy it couldn't be used overnight, Kitchen facilities were dirty and had no equipment. Bed was on castors and skated about the room. Door was difficult of open. We stayed in a room with shared bath. The room looked more like a prison and was not clean. Also no cleaning was provided after our first night. The shared facilities were partially broken and completely dirty. 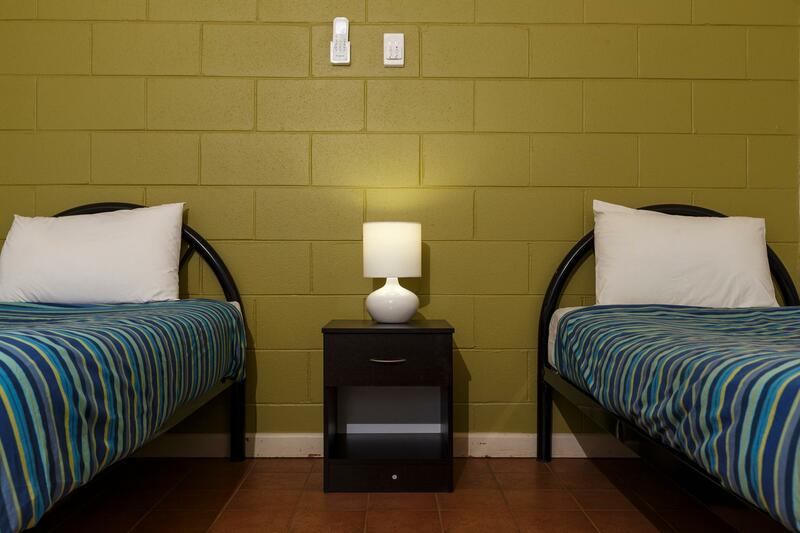 We stayed in other backpacker hotels and know how it can look like even in a backpacker hotel. The Kings Canyon is great to visit and it seems this is the only lodge close to it. Probably the reason why the hotel management does not care too much. I'm sorry but...…..The Resort needed a big upgrade. We stayed in a Lodge room which we thought was very overpriced for what it was but the location fantastic. Our bed was rock hard too. The kitchen next to our room unfortunately was ill equipped, dirty and had a terrible odour. My husband swam in the pool and thought it hadn't been cleaned in a while with quite a bit of debris on the bottom. We went to the bar for Happy Hour. My husband tried 2 different tap beers both of which were flat. My 1 can of Jim Beam and coke was $14!!!! Of course you expect to pay more given the location BUT! Dinner in the steakhouse was reasonable but not enough staff to cater for the diners. No forks left nor loo paper or water to drink. At 10:30 am we tried to get a coffee. Nothing was open. Attention to detail was totally lacking in all areas. I booked the hotel in Urulu in last minutes so I don't have much choices that hotel still have room available. I picked this one at a relatively lower price but the room is not very good and not very clean. This is more for family with kid and the price we pay is not justified. The only good thing is the location which is very close to the Mountain Urulu. 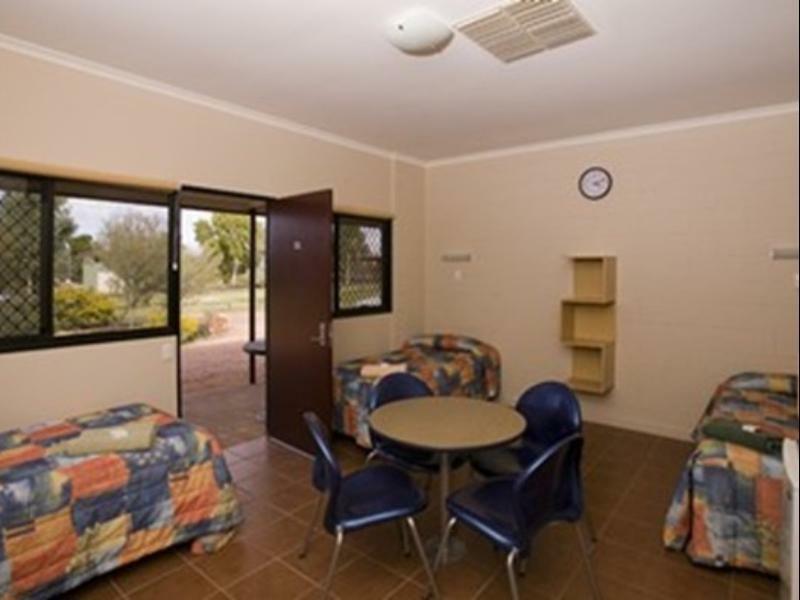 The resort is right off the road approximately 6 kilometres north of the Kings Canyon. The lodge I stayed in has washroom facilities (toilets and showers) off in a separate hut. The gents was out of order throughout of my stay. The urinal had human fluid filled up to the brim. The shared kitchen seemed unattended with rusty/soiled surfaces. The air conditioning was weak and operated by inserting a tag that binds to the room key (so one cannot keep the a/c working when not in the room). A lot of grass hoppers and other creatures to be expected if you walk the porch at night. The unleaded petrol here was 30% more expensive than those in the Glen Helen Lodge, which faces the same non-existing local competition. The restaurant at the back of the reception was quite decent though. Overall an unpleasant stay. Adequate for two nights as we didn't want to camp or pay megabucks for accomm. Bed hard and small . Just a double which is not great for tall ppl. I would recommend booking a bigger room if you are a couple like us so one could at least sleep in the single bed. Staff friendly. Awesome surroundings and good shop and restaurants. Tim walk recommended. We loved this resort. We had a very spacious and comfortable deluxe room. We ate in the restaurant and had a delicious meal service by a delightful waitress. Breakfast was great too ( except for the coffee..but they were a bit short staffed). We swam in the pool which was seat in a pleasant garden with lawn and shade trees. The whole place had a really happy atmosphere. We booked the cheaper room with share bathroom as we weren't prepared to spend $400-$500 + a night. We expected a dive and I was prepared to sleep in the car if it was a bad as we expected. However the "share bathroom" was an ablution block (one of three in our immediate vacinity). Many toilets and 4 showers, all very clean especially considering the red dust of the location. Hot water was plentiful again to our surprise, our room was tiny but clean so we were content to stay. The surrounding camping area has beautiful large gums for shade and better than expected lawn. The negative was the number of flies in the hotel which discouraged any thought of eating there but we realise that is something that would be hard to eradicate. Therefore yes, we would recommend the resort and would choose to stay again if travelling to the area. Did the 3-4 hour rim walk after a fairly strenuous assent at the start but the climb was well worth the effort. Absolute stunning scenery and a photographers paradise. Combined all this the next day with a 15 minute helicopter flight over the canyon and Carmichaels bluff which gave another totally different perspective of the geographic majesty of this area. Were fortunate to see several dingos at both the canyon and resort. Sunset view was also good.